Montrose Travel, which is both a host and full-service agency, was originally conceived in 1956 and acquired by Joe and Leora McClure in 1972. They retired in 1990 and their children, Joe McClure, Jr. and Andi McClure-Mysza, bought the leisure agency from them. 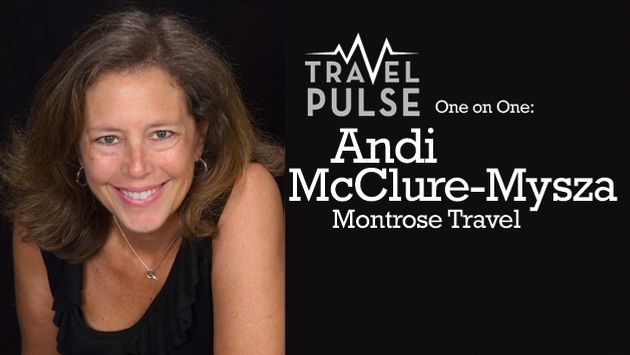 We sat down with McClure-Mysza, president of MTravel.com, the hosting division of Montrose, to discuss everything from the state of the hosting industry to the greatest challenges facing independent contractors today. TravelPulse: What are the pluses and minuses of being with a host versus being independent? Andi McClure-Mysza: I think the biggest pros for being hosted is that you’ve got a full-service partner, assuming you find a full-service host. Ultimately they bring clout and buying power to you, which should translate into higher commissions. I think in many instances most agents don’t have their volume consolidated into only one or two suppliers. Most of the time they’re buying across a range of suppliers. So a lot of the time they end up earning 10 percent — and most of the big hosts are at max commission level that many of the suppliers pay. Even with the commission split basis, people are making more money. Buying power is a big one, as is technology and training, advice, recommendations, business coaching, client problem solving, marketing, and ARC and airline ticketing. There’s also a full support system from the host and a community with other agents so you’re not just truly sitting at home by yourself. I think the downfall to many people who are going out and evaluating host agencies is they look at simply what the cost and commission split is and they don’t look beyond that. But there’re a lot of intangibles that go into what you’re getting in a hosted relationship. TP: What kind of travel do Montrose agents book? AM: Pretty much everything — budget to luxury, cruise to land, leisure corporate and groups, I mean everything. There’s not much that we don’t book. TP: What is the greatest challenge facing the travel advisor community and do you have a recommended course of action? AM: I think building customer loyalty is probably the biggest challenge. A lot of customers may just have a ho-hum customer service experience with their agents or they may not have developed the trust or respect that you hope those relationships will have, which may drive them to the Internet or another agency the next time they’re going to travel somewhere. They didn’t connect for some reason. Price shopping is usually the reason that people will give that they’re out doing it. But at the end of the day if the agent doesn’t give them a reason to remain loyal then they’ll go out with this type of behavior and the agent has to try to win them back – or maybe they don’t even know they left them in the first place. We want them to be completely ecstatic with their agent and we want them to refer them out to their friends. That’s true success. And that’s how you build your clientele. Our recommended course of action is we teach a very specific sales process to our agents for building client loyalty and it starts really with the first phone call from the prospect and it moves all the way to the welcome home call. It’s on a very personal level. It involves learning very deeply about the experience that the client wants and expects and making sure they deliver against it. It doesn’t dwell on price. It focuses on building a partnership and working together with the customer for a specific desired end result, which would be a fantastic trip from the customer’s perspective coupled with a new respect for their personal travel planner. Ultimately it’s resulted in greater client loyalty and significant increased referrals if you follow this particular method that we train on. TP: What is your consortium and why? AM: We’re with Ensemble. We’ve been with Ensemble since they started as GIANTS. My folks joined them back in the 1970s. They’ve matched our needs from a product mix and from a client standpoint as well as everything else that they do. They’ve got a good mix of mass market to luxury, which is what we’re all about. It’s pretty much across the spectrum. Over time we just built a really close relationship with them. So they’ve become very responsive to our needs and it’s just a very good partnership. 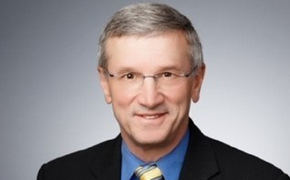 TP: How has the image of independent contractors changed since the inception of Montrose? AM: My folks hosted back in those days in the ’70s and ’80s. They had a few smaller agencies that closed up shop and moved in with them on an independent contractor basis. So hosting started back in its infancy with my parents. But it really grew once the Internet came of age and we had the ability and technology to completely support agents nationwide. Hosting in general has changed 180 degrees since back then. They’ve gone from what was always considered a part-time hobbyist person sitting in their pajamas at the kitchen table to the development of true travel professionals who happen to work from home. They don’t have a storefront office. They’re both full time and part time. I think where you get the most credence in this is you see the development and the proliferation of the hosting industry, as well as the growth and development of the sales resources that have been addressing this segment by the suppliers. All of a sudden it really is a segment that needs to be reckoned with. TP: What advice do you have for independent contractors just starting out in the travel industry? AM: I think first and foremost they should immediately go find a host that’s a good fit for them. If they’re brand new for them to try to start up on their own, there’s no need to try to do that. It’s hugely inefficient and it’s not the wisest choice. It’s a lot more cost effective and efficient for them to find a good host. Secondly, probably the most important thing is for them to put the word out to a prospect list. We recommend that people develop a list of a minimum of 250 already known associates, whether it’s friends, relatives, family, people they’ve worked with in prior jobs, whatever it might be. Then at that point stay top of mind with them, which means communicating with them in some form or fashion, whether it’s personal, face-to-face, phone, email, direct mail, whatever; at least two times a month. TP: How was business last year and how does it look going forward? AM: Last year was probably one of our strongest years ever. It was absolutely phenomenal. Our company was up in the significant double digits both on the sales side and the profit side. This year we turned the corner into 2014 on a real strong note with strong advance sales. We saw strong sales on the land side last year. Cruise started to wane a little in the more contemporary category. We started to see that come back a little bit this year. Land continues to be very strong. Groups are amazing this year. They were strong last year but groups overall are even stronger this year. I think the biggest indicator for us as a company is that we hired about 40 new employees in the past eight months. That really shows the strength and success that we’ve enjoyed.